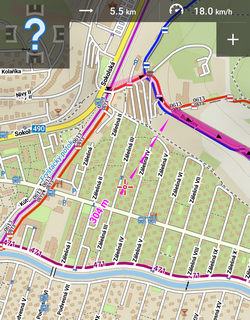 In some cases the street name/road number indicator may be empty as the navigation source does not have it in its database. Can be displayed by tapping the arrow box. 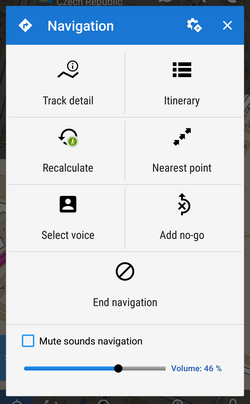 Recalculate - manual trigger of route recalculation and indicator of selected navigation profile. 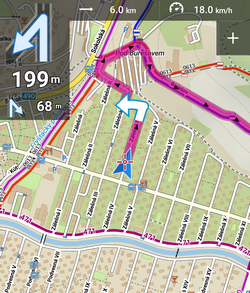 Short tap recalculates the route in selected navigation profile. 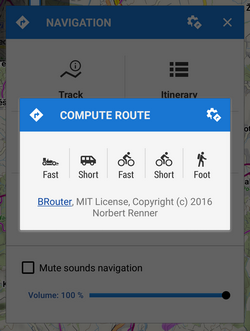 Long tap opens a menu of other available profiles so the the route can be recalculated in a different profile. 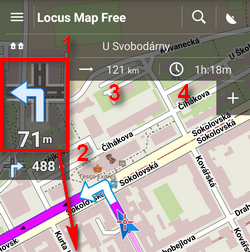 Locus leads you to the nearest point of the route by a guiding line. 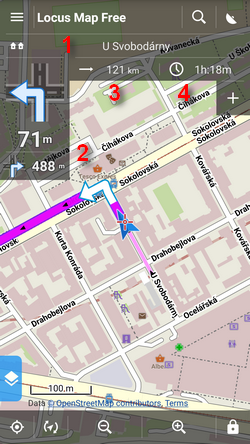 It displays also distance to it (and other values if you set them in guidance settings).